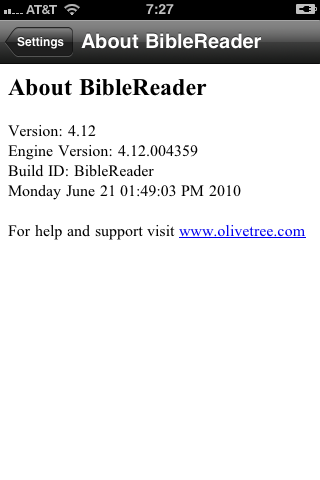 I am having trouble getting the Toolbar in OliveTree Bible Reader to stop disappearing. My version is 4.12 engine version: 4.12.004359. 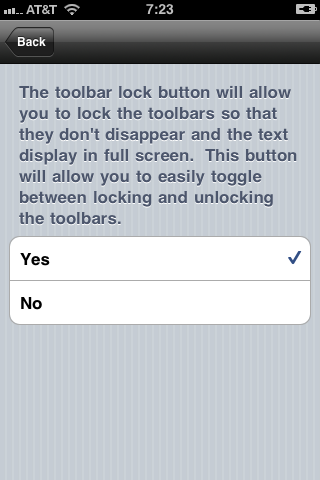 On my iPhone 3g with iOS 4.0.1 installed I am unable to lock the toolbar. 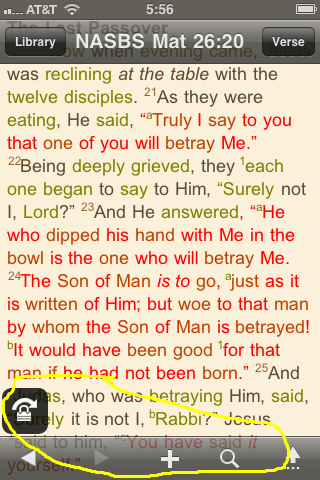 I cannot make the toolbar in Bible Reader stop disappearing. This used to work at one point on my iPod Touch (version 3 of BR) but since switching to an iPhone two months ago (and before the iOS 4 update) I have been unable to make this feature work. Please help as this problem I find this very very annoying. Buttt.... once I do this the toolbar STILL disappears. Very annoying as I have to stumble around a dead area of the screen (not much because of the Strongs) to bring up the toolbar again. 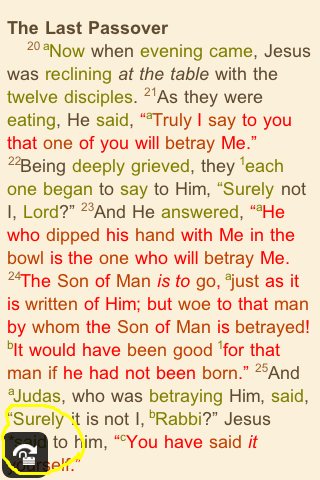 I guess I am in the one percent who actually like this as it used to work this way in version 3.x.